What are you so worried about? What are you so afraid of? Can you imagine Peter, John, or Paul stressing over where their next meal would come from? Or worrying about what other people thought of the life they were living for Jesus? Or wringing their hands over what the devil might be up to? Or lying awake at night, fearful they would mess up the mission Jesus had entrusted to them? Fear and anxiety can be expensive, debilitating, and keep you from the Fully Alive life that Jesus came to give each one of us. If fear and anxiety has been your way of life, you know how hard it can be to break free. Your thoughts and feelings can seem out of your control. Doesn’t God know that? The men and women who knew Jesus best didn’t start out confident and unafraid. The disciples nearly lost it in fear when the storm engulfed their small fishing boat on the Sea of Galilee. “Don’t you care that we’re all going to die? !” they shouted at Jesus. And not long thereafter Peter and John stood in front of the religious leaders in the temple completely unfazed by their threats and persecution. (Acts 4:13) A short time later Paul started traveling the then-known world telling everyone about Jesus – regardless of the troubles he encountered. Jesus’ friends moved from fearful to fearless as they spent time with Jesus, saw Him alive, and were filled with the Holy Spirit. And that’s how you’ll get there too. I’ve walked the journey out of fear and anxiety to a life of true joy and fulfillment. And I want to share with you a 5-part prescription that I know will work for you too, a prescription that’s backed up by both medical science and God’s Word. 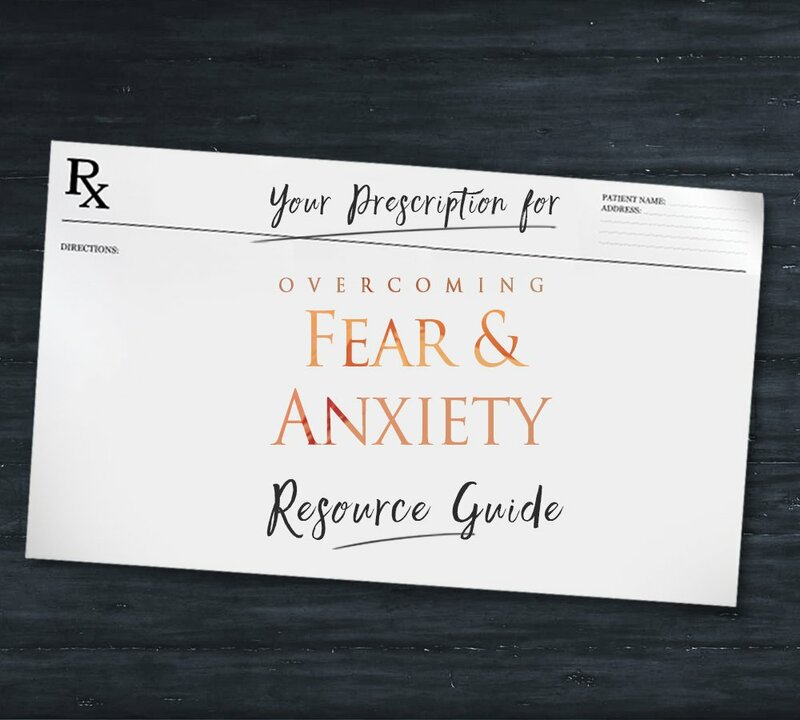 I’ve prepared a FREE downloadable Resource Guide discussing this 5-Part Prescription in detail. It looks at the integrated way in which God made you and me – physically, emotionally, and spiritually. And it provides practical ways in which you can begin living FREE from fear and anxiety right away. Why don’t you get your FREE download, and begin taking your Prescription today?! Send my 5-part Prescription NOW! Tweetables: why not share this post and resource? What are you afraid of? What are you worried about? Your Prescription for Fear and Anxiety. Tweet that.